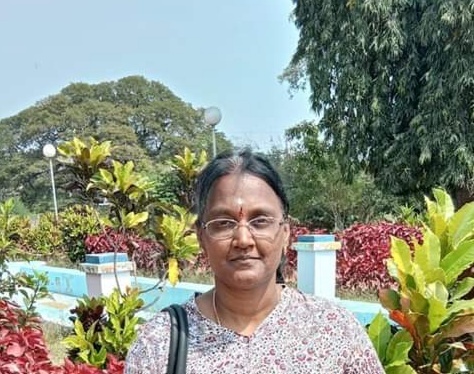 Dr. Sheela P. Karthick is working as Associate Professor of English, The Madura College (Autonomous), Madurai, Tamilnadu. Having gained a Ph.D, in Comparative Literature for her thesis on “Feminist Concerns in Select Novels of Margaret Laurence and Vaasanthi: A Comparative Study” she has so far guided 5 and is guiding 6 Ph.D. scholars in English Literature and Language. Apart from Comparative Literature, her area of specialization includes Feminist Criticism, Diaspora Literature, Multicultural and Postcolonial Literatures and recently she focuses on Eco-feminism. She has so far published more than 25 research papers in national and international conferences. She is also one of the Executive Council Members (ECM) of FSLE-India for its Tamil Nadu Region.